If you are anything like us, your beauty vanity is bursting with products, drugstore and high-end, skincare and makeup ones, to achieve that much coveted, I-woke-up-like-this glow. While the arsenal might help us to fake it, don’t we all wish it all just came naturally to us? Thanks to nutritionist experts and celebrity chefs, we might just have a way to make it happen. And, that too right from the comfort of our kitchens. We have all heard and known the health benefits of eating right, but it can’t be stressed enough how important and let’s not forget, how easy, it is to eat your way to a glowing complexion too. While applying good products on the outside is important, eating and working towards beautiful skin from the inside is more important. 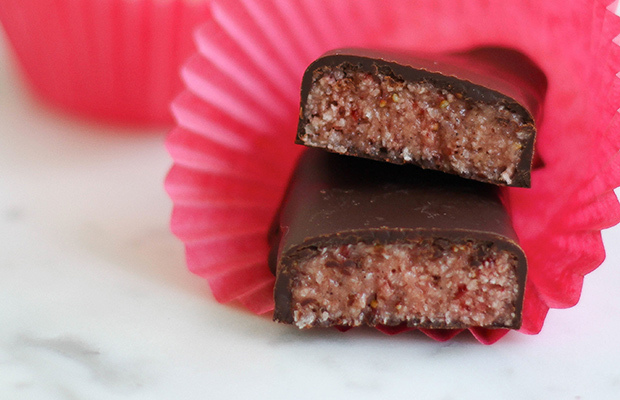 These coconut-y, pink chocolate bars are perfect as a snack between breakfast and lunch! They give the much needed boost to get you through meals while being rich in proteins and anti-oxidants. Place the strawberries in the bowl of a food processor and process until finely ground. Add the coconut and whey, and vanilla, and process until the mixture is fine but not totally ground to a flour. Add the coconut or almond milk and process until the mixture starts to come together. Line a bar tin with silicone paper and press the mixture evenly into the tin. Cover and refrigerate until it firms up. Place the dark chocolate into a plastic bowl and microwave for about one minute. Stir the mixture until melted. Keep stirring the mixture as it cools slightly. Coat each bar in the chocolate and set on to a tray, lined with silicone paper, to set completely. There is no question regarding the fact that adequate hydration is critical for gorgeous, glowing skin. However, plain old water can be a bit too boring to drink in large amounts. Solution? DIY Essence Water that is flavorful enough to keep wanting to drink all through the day with a tiny bit of nutrient boost alongside. 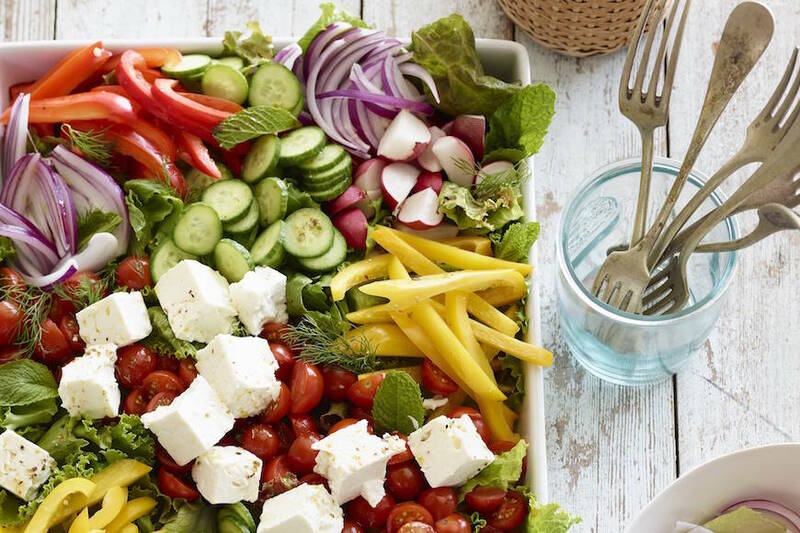 Perfect for lunch, this salad packs all the essential nutrients without the boring taste of the side salad. Who needs meat when you have this tangy, no-cook salad on hand? 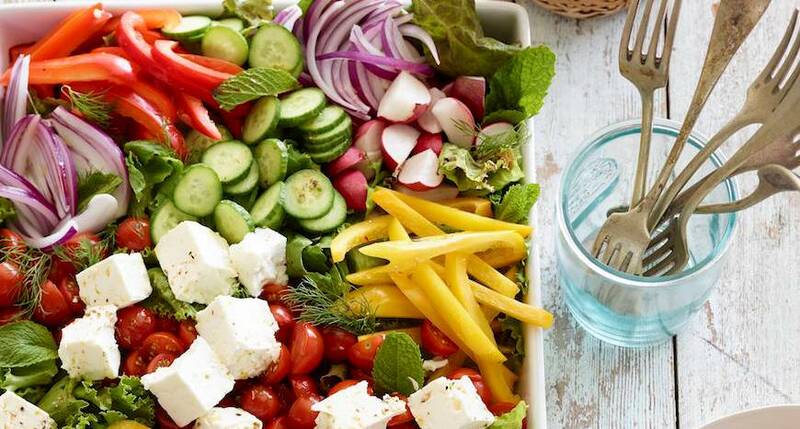 Arrange all the salad ingredients in a large bowl. Whisk together the ingredients for the dressing and drizzle on top when ready to serve. Ideal for dinner, this light-weight yet healthy vegetable-fish option is super easy and super healthy. 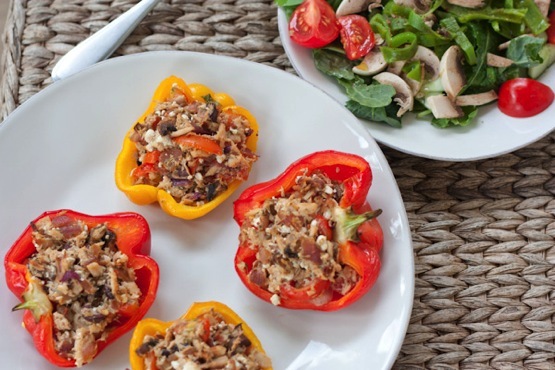 Packed with selenium and anti-oxidant Vitamin C, tuna stuffed bell peppers help protect the skin from UV radical damage and boosts collagen production to help it regain its firmness. Preheat oven to broil. Place whole peppers onto a baking stone or sheet and broil for 5-7 minutes, turning once mid-way through broiling. Watch the peppers carefully so you don’t complete char them. Remove from the heat, and place on a plate to cool. Turn oven from broil to 350°. While waiting for the peppers to cool, make your tuna filling. Spray a skillet with cooking spray and sauté the onions and mushrooms until soft and fragrant, sprinkle with sea salt and black pepper while cooking. Add cooked onion and mushroom into a medium size mixing bowl. Add tuna, tomatoes, olives, cottage cheese, lemon juice, olive oil, mustard, parsley and oregano to the bowl as well. Break apart tuna with a fork and stir all the ingredients together. Season to taste with crushed red pepper and ground pepper (it should not need any additional salt). Once the broiled peppers are cool enough to handle, carefully cut the peppers in half, remove seeds and membranes (be careful as it may still be hot inside). Lay the 4 pepper halves on the baking stone and fill with the tuna mixture. You should have just enough tuna to fill the 4 pepper halves. If you have extra, you can eat it on the side or save it for later. Place peppers in the oven for 10-15 minutes, until warm all the way through. Remove from oven, serve and enjoy.